I got this set of 7 fountain pens last year for my daughter, who is studying art in college. She's been incorporating them into her work. 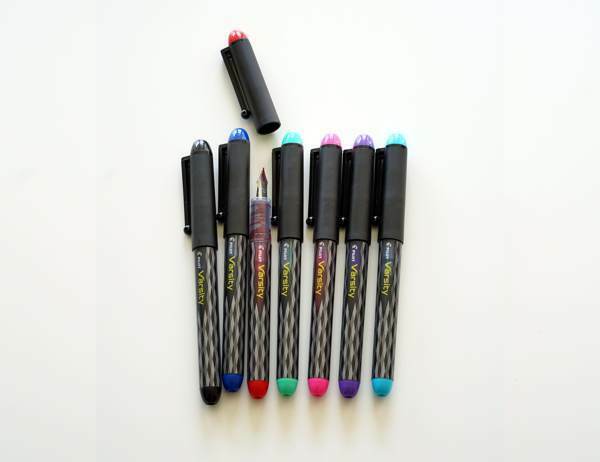 The pens have a stainless steel nib and come in seven different ink colors. I just ordered set for myself.